The faint gloaming of twilight was just a hint in the air as the cars rocked up to the pitlane exit for their practice start and installation laps. The failing sun still buried the artificial daylight set to descend on the track as the race kicked off. All eyes on Gasly at the start, of course, with Verstappen and Hamilton looking to make big gains at the start or face a spoiled strategy. Predictions for Supers were a two stop with the thought those on Softs MIGHT be able to extend to a one stop. Stratagery aplenty indeed, with both Max and Lewis running those aforesaid Softs. McLaren also under pressure, but generally Alonso being adept in the race meant a bit of face saving was in order for the proud outfit from Woking. Lights Out!!!! Out of sheer chaos of the start it was Hamilton rocketing up the field. Side by side into T1 it was Bottas taking a slow Raikknen, the dirty side of the track doing him no favours at all. Perez went for a spin as Hartley whacked into him with incidental contact between besties Magnussen and Hulkenberg. Alonso took the advantage from Hamilton, whose early thrust was blunted as he Fernando caught him tiptoeing round the midfield melee. Hamilton continued to struggle with his tyre temps and it was Verstappen forcing his way past into the start of lap 2 but not without contact and expensive at that for the Red Bull runner, as he picked up a puncture from going wheel to wheel through T1. In all the fun, it was a dead car for Ricciardo, off the track and race run, frustration boiling over for the Aussie. Hamilton meanwhile took 3 cars going into T1 on lap 5, AND MADE IT LOOK EASY!!! Ocon, Alonso and Hulkenberg all wondering what the heck just happened as Lewis was suddenly in P6 and looking pretty. Carrying on, he maintained his momentum and took Magnussen, who was still trying to pry his way around Gasly. 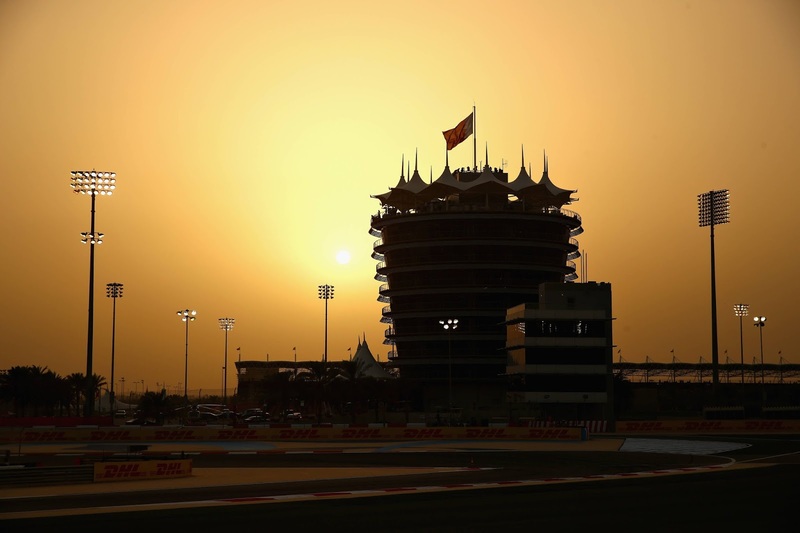 P5 and killing it, off went Lewis, the Toro Rosso next in his sites. Lap 8 job done for Lewis, 10 seconds back from Vettel and the race was on. No action was reported on the Hamilton-Verstappen contretemps, but Hartley was assessed a 10 second time penalty for getting a wee bit friendly with the back of Perez' Force India. Lap 10 and finally a picture at the sharp end began to emerge, with Hamilton holding an 8 second gap on Vettel, well within his pit window and clearly looking to do one less stop and turn the differential into an advantage. Damage to Stroll and both he and Vandoorne were into the pits lap 11. New nose for Stroll (at least he can afford it) and Williams bookended both those yet to stop with Sirotkin and those already in and out, Stroll with lap 12 headed to the history books. The only card for Ferrari to play is leaving Kimi out to cover off Lewis, but he was very much on the wrong tyres to pull that off. Magnussen in lap 14, and back out on the Supers, unfortunately behind LeClerc, but fortunately with all the wheels attached. Hulkenberg gave it the push but was not making up anytime and equally important, Kmag stuck it to the Sauber and was off into a serious chunk of free air. Alonso was in and out on Mediums. Magnussen suddenly found himself stuck behind Sirotkin as Hulkenberg was in and out just in front of Alonso on lap 17. 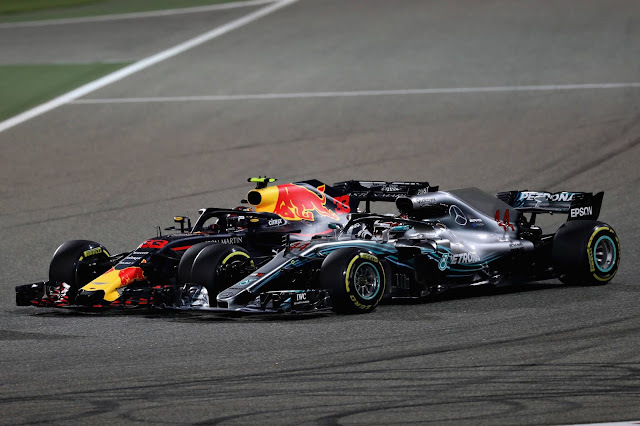 At the sharp end, Bottas began closing up on Vettel to prepare for the undercut while Hamilton continued to chip away. Back to the midfield, Hulkenberg managed to get round the rolling chicane of Sirotkin (a feat already managed by Kmag) and start to shake free of Alonso's grip. Gasly had pulled off a drama free stop in the meanwhile and was back out in front of Magnussen, frontrunner of those with one pitstop under their belts. Lap 19 Vettel in!!! Mercedes chucked a dummy but the fact of the matter was Seb was losing chunks of time to both cars. Bottas continued to rock in front and it was now Vettel on the fresh Softs 9 seconds back. Thanks, as always, for stopping by. Lap 20 and Raikkonen was in and out also on the Softs and now 28 seconds back of Bottas and 17 from Lewis. Next lap and Bottas blinked, a slow stop and out in between the 2 Ferraris. His choice of tyre being Medium helps explain the slow stop as likely a front wing adjustment accompanied those tyres. 2 seconds in front of Raikkonen and 5 back of Vettel. In the midfield, a yet to stop Ericsson had managed to back Magnussen into the clutches of Hulkenberg at least temporarily. Coming around to the DRS zone, the Hulk was all over Kmag's gearbox and they were both looking at DRS down to T1. Kmag managed to fend off the Renault and rock by the Sauber into T1, gapping his on strategy rival and gaining a bit of breathing room, beginning his chase of Gasly, 7 seconds up the road. Lap 25 and Vettel's fresh tyres had paid their laptime dividends as he had closed up to within a second of Hamilton. Ericsson in and out. Lewis covered off a vicious attack from Vettel T11, but the DRS into T1 was the end of the battle as he basically let Vettel through in defense of his own strategy. During that struggle of titans, a quiet message to Bottas reminded him to watch his tyres carefully, as he was well onto his B strategy, a one stopper. Lap 27 was the target for the lagging Mercedes and Mediums on for the reigning champ. Into free air and an 18 second gap to the podium. 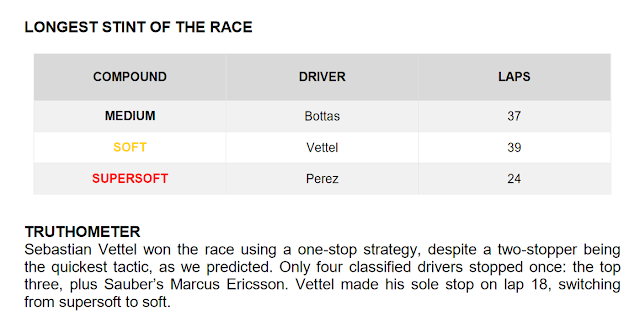 With both Ferraris technically needing another stop it was Mercedes suddenly in the catbird seat. Magnussen was in and out for his 2nd stop on lap 28, planning to make a pair of Softs last to the end of the race. Essentially, a gambit to undercut the midfield 2 stoppers. Quickly by Perez and running down his teammate, on the Softs at his first stop and a different strategy. Vandoorne reacted quickly as Ericsson took advantage of the earlier stopping Force India. 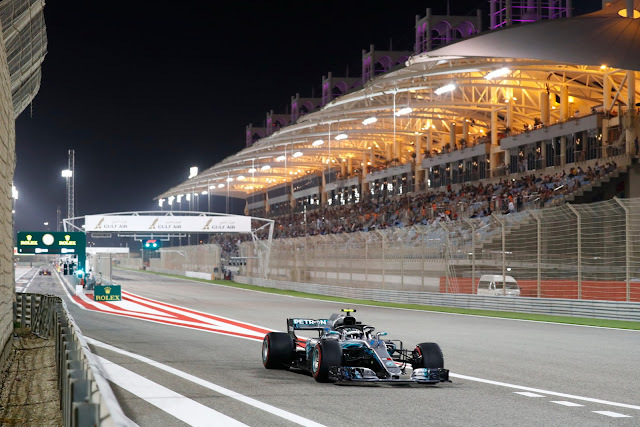 Too much action as back at the front Bottas was within 5 seconds and Hamilton within 16 seconds with 27 laps to go and Vettel on 11 lap old Softs, only rated to 30 laps. Magnussen dusted Grosjean around the outside, and Grosjean, not recognising it was on, played quite the blocker to his teammate on a totally different strategy. Steiner solved the problem by calling RoGro in, but not before costing him the better part of a second in HAAS 3 car battle for P4, P5 and P6. P8 an off after Alonso was Kmag, but not before displaying his penchant for sarcasm on team radio, congratulating them on a job well done. Mercedes on the radio told them to target low 1:34's, telling Lewis to get on target as they suspect Ferrari had converted to the 1 stop with Vettel. Lap 36 and in comes Raikkonen for the Supers. Oh NOES, wrong tyres and Raikkonen hit the mechanic!! He was down hard and on replay, Kimi was given the green light before the left rear was changed. IT was a nasty bit of contact and looked to thoroughly break the leg of the mechanic holding the wheel. It was a problem with the left rear which had failed to come loose, and having driven off on mismatched tyres that was the end of his race. 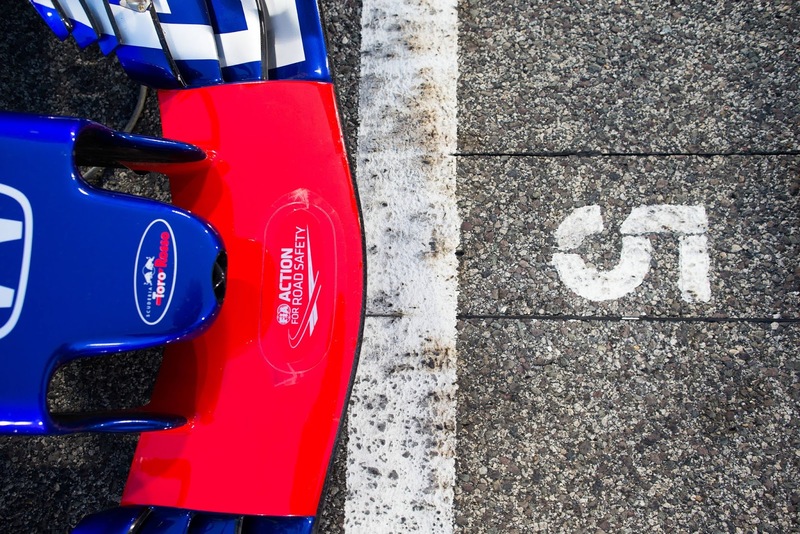 He stopped mere metres from his box, banged his head against the steering wheel in frustration, then exited the car and headed back to the garage, as the stricken mechanic lay on the tarmac, still being tended to. 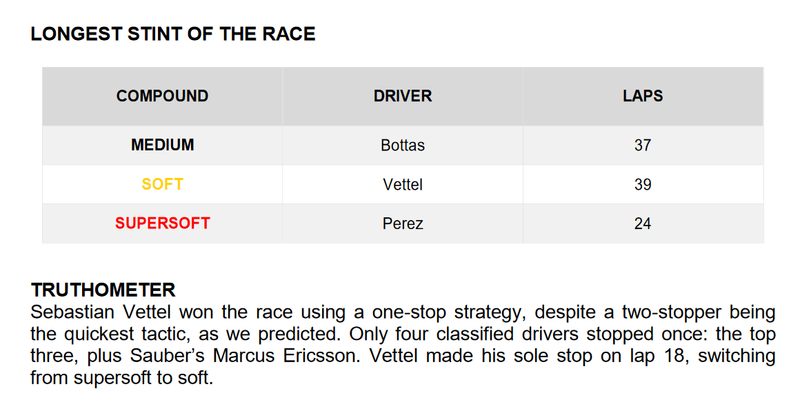 This crushed Ferrari's race plan, and now they had the difficult choice of whether to bring Vettel in or leave him out. 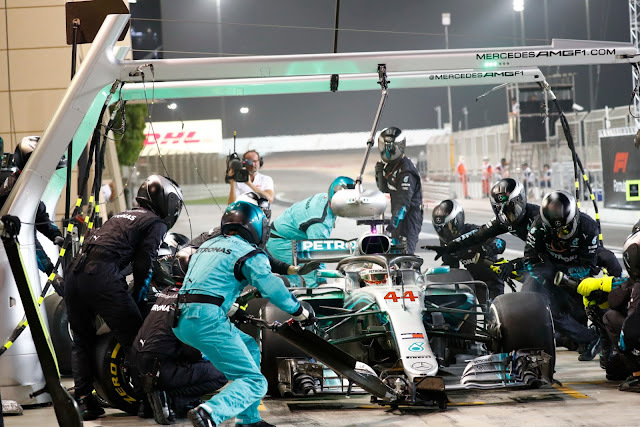 Hamilton's push had brought him within 18 seconds of the front as Bottas lingered 8 seconds behind Vettel. 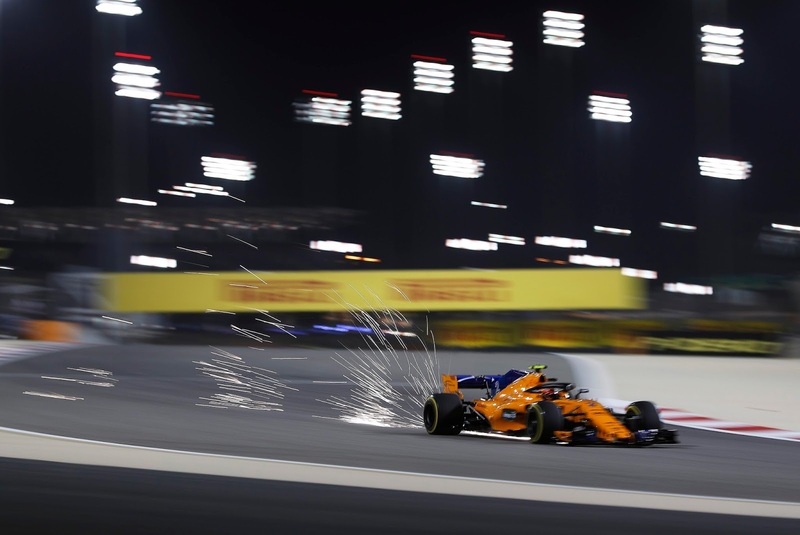 In the midfield, both Alonso and Hulkenberg were back in lap 40, and out behind Ericsson who was having a stellar race strategy wise. Magnussen was 3.5 seconds back of Gasly and the Toro Rosso had tyres 4 laps fresher as it was time to grab the popcorn for the best of the rest race. At the front, the choice to push or not was upon Hamilton's side of the garage, with Merc asking for his TAG mode needed to hit low 34's. Some radio confusion brought James Vowles on to ask him to run TAG 2 and report his lap time. Grosjeans's car seemed to be losing random pieces of body work, but that didn't seem to be keeping him out of the points paid positions, P10 and chasing Vandoorne only 0.3 seconds ahead for P9. Lewis passed the last of the lapped traffic and was looking at a big chunk of free air as Ocon took careful aim at the gearbox of Sainz who was P10. The Force India was within DRS of his rival, but it was Bottas who had turned up the wick. 3.5 seconds and a delta of nearly a second on the leading Ferrari lap 52 as it was all to play for at the sharp end. Not to be outdone, Hamilton shaved an extra second of Bottas' last laptime, but too little too late for him. The midfield looked set with Gasly pulling away from Magnussen and Hulkenberg 12 seconds back. Alonso was looking to get by Hulkenberg and was nearly in DRS with 4 laps to go. 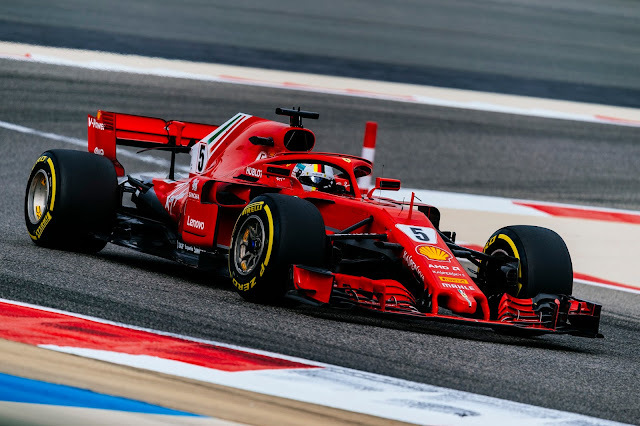 That was that for that and Vettel rocked it round in kingly fashion, an improbably win for the Scuderia after they nearly scuppered their chances with the loss of Raikkonen. Hamilton in an equally improbably 3rd, helped by the total failure at Red Bull. 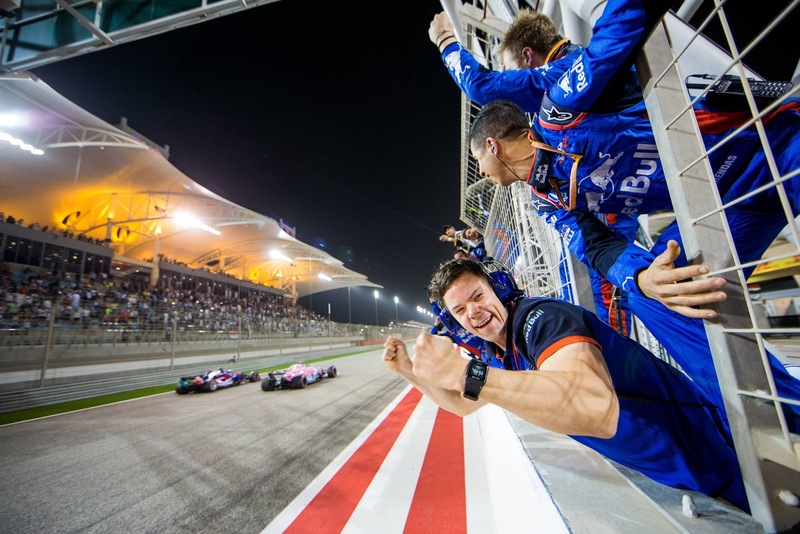 But the real winner of this race, had to be Pierre Gasly in 4th, because ZOMG even the Honda faithful had no clue what their new partnership might yield at the start of the race. HAAS and Kmag with a very scrappy P5, but again it was problems for the American outfit as Grosjean lost his points position late in the race with yet undefined problems. A big face saver for Mclaren, going P7 and P8 for Alonso and Vandoorne. 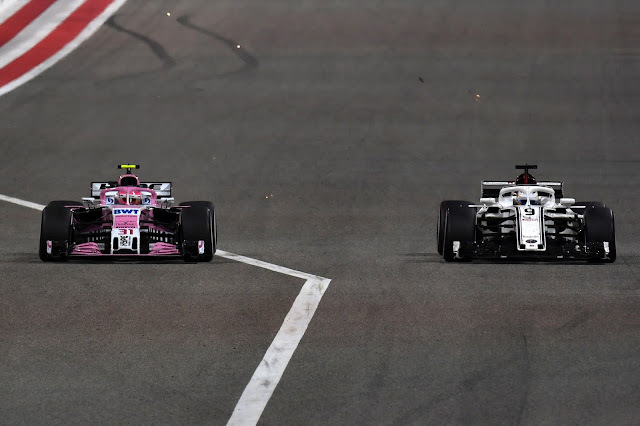 The unfortunate Ericsson had the first Sauber points of the season roundly ignored after a grand strategic race, in favor of the astonishing climb of Toro Rosso. A bit of grace for Force India as well, as with the unexplained and rather disastrous retirement of both Red Bulls as well as Raikkonen, Ocon was able to pick up a solitary point and get them on the board. The lack of a mention of Williams by this point should tell you everything you need to know, but just in case I will toss the word execrable out to describe their performance to this point. Post Script, Good News of a conditional kind, the stricken mechanic reported to be in OK condition in the medical centre, but most certainly with a fairly savage orthopaedic injury to be rehabbed. And remember to play nice in the comments! !